Unique Vacation at Camp Edison. It's Like Camping - But Better! Shaver Lake California is just a short drive from Clovis, Fresno and Madera. It offers some of the most exciting outdoor recreational activities in the Sierra Nevada. You can fish, hike, ride horses, water ski, cruise around on a jet ski, experience off road adventures or go mountain biking. It is a wonderful location for a family vacation. 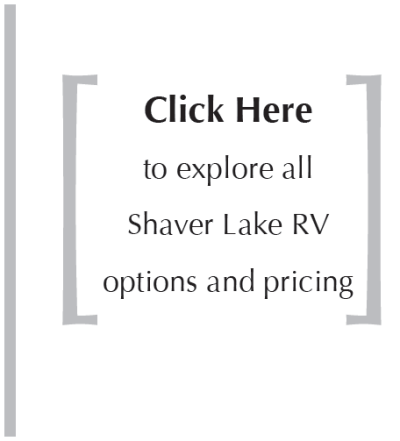 So plan to come and stay in a picturesque camping spot at Shaver Lake. Bring your watercraft, 4 wheel vehicle or mountain bikes and rent a recreational vehicle from us. All you have to do is arrange for a camping spot at Camp Edison, and then arrange for a rental from us! 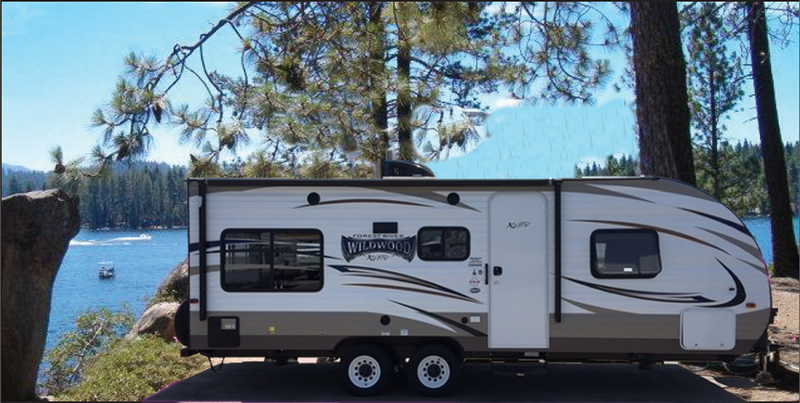 Imagine the convenience of arriving at your campsite with a cozy, self contained rental trailer awaiting you. We have a three day minimum on all Trailers rentals. When you arrange a rental from us, we deliver it to your destination and set it up. When your vacation is over and you head on home, we come and take the rental unit away. There is a 14 day cancellation policy on RV rentals. You will be charged the full rental fee if the reservation is not cancelled 14 days before your scheduled rental date. Click Here to View the Campground Map. Click Here to Make a Camp Edison Reservation. Call 559 326-6064 with any questions.